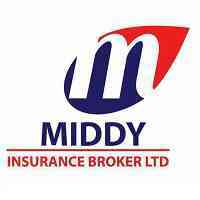 ABOUT US: Middy Insurance Brokers deals in both long term (life) insurance and short-term (general) insurance. Our Insurance covers both personal and commercial Insurance covers. Our purpose is to help our customers to protect themselves and their properties from insurable risks that they face in their commercial activities and daily lives by providing a reliable and secure insurance services.